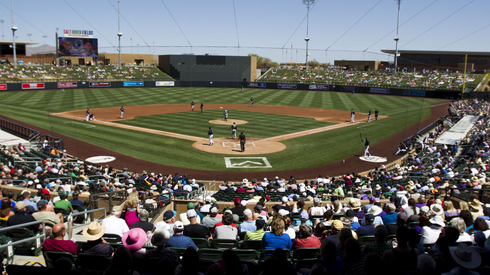 Here in Phoenix, AZ, the Cactus League is in full bloom with Major League Baseball teams in town for spring training. 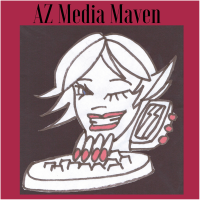 Media Maven just happens to be managing a Facebook baseball page, too, albeit for a much smaller division: the Laveen Youth Ball Association. Using social media is relatively new for the all-volunteer, nonprofit organization, though its Web presence lybaonline.com is known well locally. Potential home-run batters and no-hitter pitchers can sign up online and parents can learn about the league. AZ Media Maven is helping the group explore how to leverage social media to connect with parents and grow the league’s community presence. 1. Know your target audience. Facebook advertising can allow you to target to the exact ZIP code to insure an ad about your page is getting put in front of the people who are most likely to use it and interact within the page. For LYBA, the target is parents in the Laveen and surrounding communities with kids ages 4-14. For a small business owner, identifying a target market means researching who will be buying your product or service, and making sure that demographic is seeing your page, your tweets and your blog. 2. Keep your social media posts, well, social. Social media networks are about sharing, talking and interacting. Don’t be the dreaded door-to-door sales associate that always leads with “will you buy this?” Sure, you can have an avenue for new clients to contact you, but social media is not another direct sales outlet. This approach quickly makes your page a place to avoid, rather than a place to gather, discuss and share. 3. Give your audience opportunities to participate. Photo contests, polls, trivia questions – when used wisely with the interests of your target audience in the forefront – can spread your message effectively to your fans. If the fans like it, then they will share. 4. Be patient. 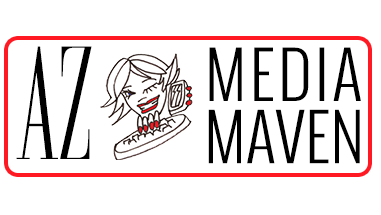 As a fledgling business – AZ Media Maven just celebrated one year in business – we made the mistake of thinking just post great content and in a few days we will have thousands of fans, because, darn it, we’re just so clever. Um. Not so much. To build a truly effective and enduring social media presence takes time. Clever and engaging content will be shared if you are consistent and responsive. 5. Provide quality content. Although all the above have a taste of content, quality posting is the main entree. For our baseball league, the quality content will be informative, letting families know about games, practices and other practical matters. It will be interactive with families and coaches being encouraged to post their photos from the games and practices. It will be entertaining: tidbits and trivia from Major League Baseball will be used on the page to provide broader content. With these simple tips in mind, you can begin growing your social media presence and building the rapport that will bring fans and generate conversation. With a thriving social media presence, your company’s reputation and credibility as well as search engine visibility will grow.